March 6, 2018 San Antonio, TX Parlevel Systems, the technology provider for the most productive network of food and beverage operators in the world, has appointed Chris Stave as Director of Business Development. Chris will provide expertise to analyze the operations of current & potential clients to create a path to spend less, sell more, and grow operations. Chris has been a pioneer and advocate for vending technology for over twelve years. He got his start as the executive director of the Vend Marketing Institute, a nationwide coalition of operators who worked together on marketing and purchasing initiatives. Vend Marketing Institute was later absorbed by Unified Strategies Group (USG) where Chris was named vice president of technology and innovation. At USG, Chris successfully implemented numerous technological initiatives to help increase cost savings for a network of over 700 member companies with over 1,000,000 vending machines. 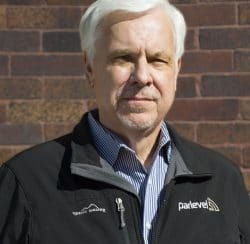 Chris adds both industry knowledge and technical expertise to Parlevel’s mission to deliver growth, savings, and control through the power of service and innovation. His unique understanding of how technology can positively impact large-scale operations will help achieve Parlevel’s goal of providing food and beverage operators with the tools to succeed and better serve their customers. For more information on Parlevel, visit parlevelsystems.com or Booth #635 at the 2018 NAMA Show. Based in San Antonio, Texas, Parlevel Systems delivers growth, savings, and control through the power of service and innovation. Founded by successful vending and technology professionals, Parlevel provides operators around the world with the tools necessary to succeed and better serve their customers. Parlevel utilizes customer support technology and a dedicated customer success team to ensure efficient implementation, training, and systems adoption. Call us at 1-800-956-8363 to POST YOUR COMPANY, Any QUESTIONS?